Adityahriday Strot is the 105th chapter of Valmiki Ramayana. August Rushi has taught lord Rama to win in the war. If you want to get power same as Sun or you want to win in war, court or legal matters then it would be very beneficial to you. You can also chant this for weak Sun related matters. But there are such rules to chant it which you must have to follow else you will not get good results. If you have government issues then you can chant it. If you have bone or eyes diseases then you can chant it. If you do not have good relations with father or you have serious eye disorder then you can chant it. If you want to get success in any good work then you can chant it. A person who is doing preparation for civil or administrative service they must have to chant it. You must have to chant it before sunrise on Sunday. You can also chant it on sunrise. Take bath first, offer water to the Sun and after that chant this in front of the Sun. After chanting you must have to meditate. Do not intake non-veg, alcohol or mustard oil. You can also avoid eating salt after sunset on Sunday. Aries: They will get benefit in children matters. Taurus: They will get benefit in health and property matters. Gemini: They can protect themselves from accidents. Their relations become good with their siblings. Cancer: They will get good money. Headache and eye disorder can be removed by chanting it. 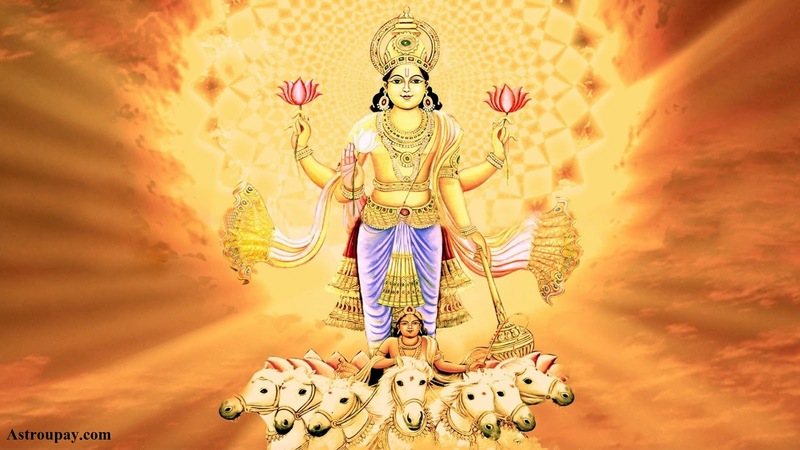 Leo: They get benefit in every matters and their every desire can be fulfilled. Virgo: They can chance to go abroad, good married life and good nature. Libra: They get good money. They win over their enemies. Scorpio: They get good carrier and education. Sagittarius: They can get chance to go abroad. They get good support from father and mercy from god. Capricorn: They get long life, good health and casual benefits. Aquarius: They get good married life, good business and financial benefits. Pisces: They get success in job; win over legal matters, rid from enemies and debts. Extra Remedy: If you want that your memory become sharp then keep 2 almonds in water in the night and chew it in the morning. Your memory becomes sharp.